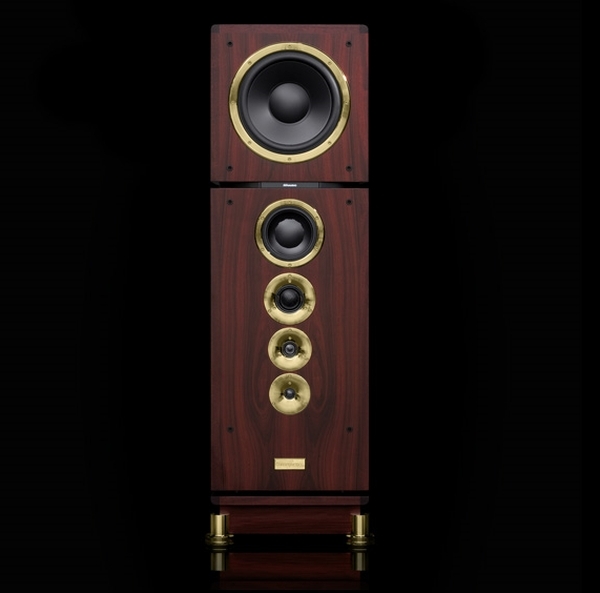 Leonardo speakers & Grandinote electronics. Mmmmm, gotta love what those Italians produce! 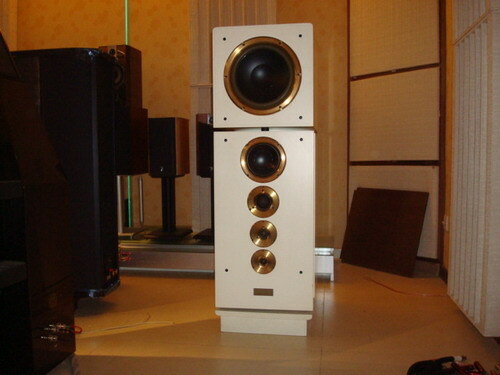 Those ribbon speakers are very interesting - supposedly, can be driven by a flea watt amp (which isn't what's pictured ). I've never heard them, but I like what I've read. I bet that system sounds fabulous. For the dollar difference this made in the USA gear is not bad either, panels - panels - panels. Hi this product in Italy is little familiar in Hi End. If you like high end gear those are the places to go. Thanks for the links - awesome stuff. 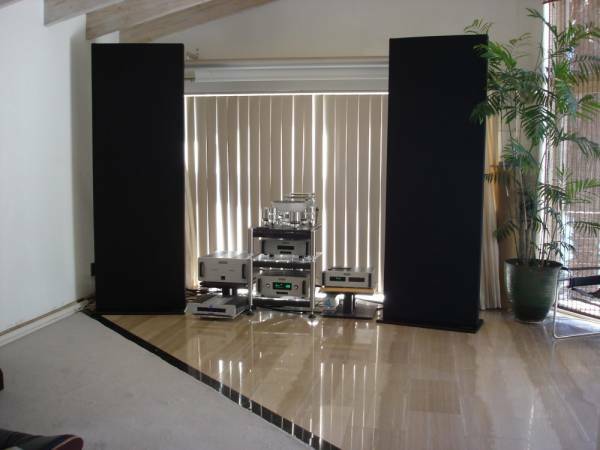 A pair of MBL 101 Mk IIIs powered by those equally amazing 9011 amps is definitely a dream system for me. The linked video gives me that fizzy feeling James May gets from certain cars (if only the audio were perfect, which it isn't via my computer). I'll never forget my surprise when I knelt next to a 9011 that had been pounding the snot out of a pair of 101Es all day long and there was only one small area that was even warm. It was counterintuitive to look at all of that heat sinking on an amp that was being driven hard for hours on end, but all of it was just above room temperature - remarkable gear! 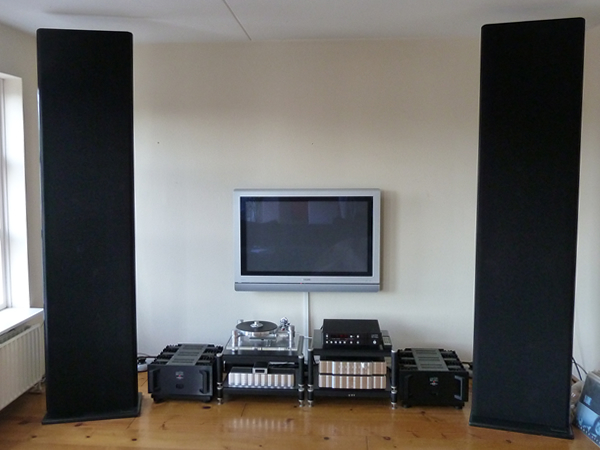 That would be my dream system. However its way outta my budget. However my setup is a hybrid HT/2-ch setup because it all happens in the same room. My Naim has a ht-bypass so it keeps 2-ch seperate from HT. The TT is way down the line, I used to have a Pro-ject but my son kept damaging my cartridges, so I sold it for now and will get one when he is older and wont be so touchy. So Im trying to build the following over time. I love Dynaudio speakers BUT for me this one is the KING of all Dynaudio's.